This plugin integrates DHL Shipping Rate API with J2Store. 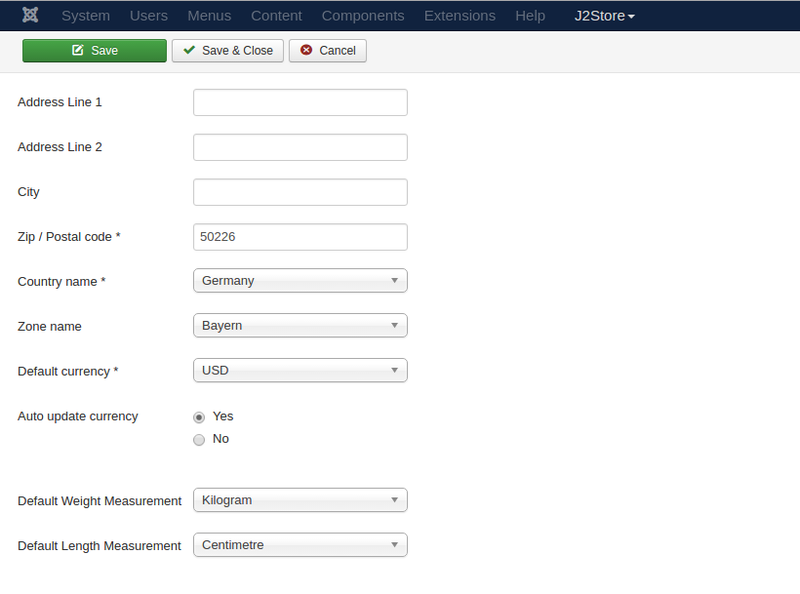 In the Joomla control panel, go to Extension -> Plugin Manager. Open the DHL Shipping(type=j2store). Site ID: This is your DHL Site Id associated with your DHL accout. DHL Password: This is your DHL Password associated with your DHL accout. DHL Account Number: This is your DHL Account Number associated with your DHL account. DHL Service: Choose the shipping services that you would like to provide to the customers. NOTE: Services depend on the customer's shipping address. Even if you chose many services here, DHL will show only the services that are available to the customer's shipping destination at the checkout. Test Mode: Before going live, you can test your store using the Test mode. If you want to test, set this option to Yes, otherwise set it to No. IN LIVE SITE , THIS	SHOULD BE SET TO “NO”. Weight unit: Choose the valid units here. 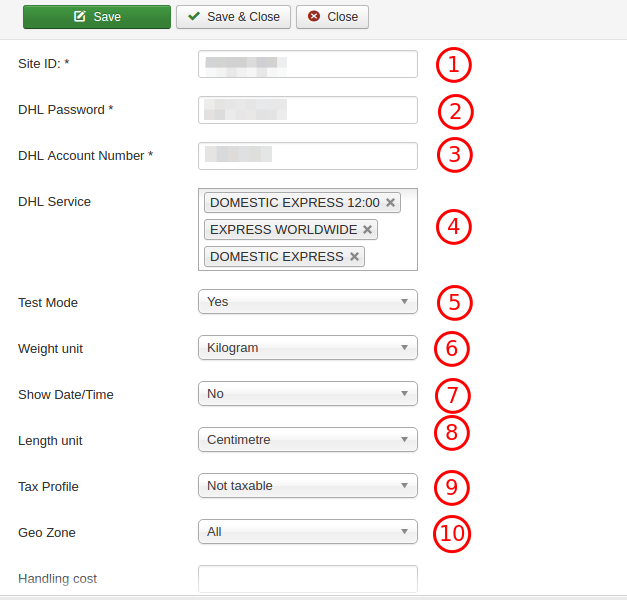 Show Date/Time: To display the delivery Date/Time in DHL Service, set this option to Yes. Length Unit: Choose the valid length unit here. Tax Profile: To apply tax on your shipping cost, please select the relevant Tax profile. If there is no tax applicable on shipping cost, you can ignore this field or leave it blank. 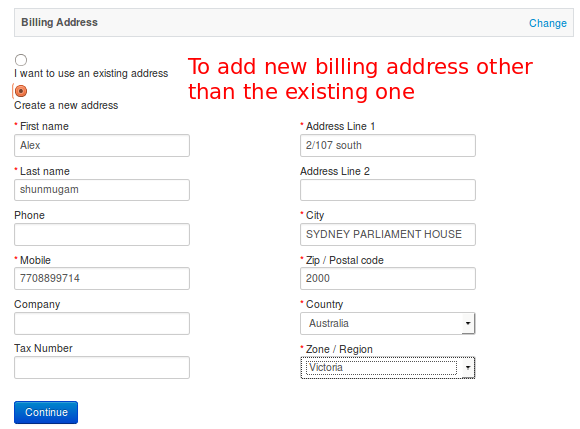 Geo Zone: You can restrict the use of this shipping plugin to a particular geozone by selecting it in this option. Choose All geozones to show this method to all customers. Handling cost: If handling charges need to be applied, it can be done by entering the amount in this field. Debug Mode: Enable/Disable Log file to Debug DHL Shipping Plugin.Set this to NO in Live Site.